Simple S-shaped footbar is portable and easy to use. This light weight and durable, the Chrom.. Foot plate height 3 ½"The smooth pivoting action of the Foot Flexor encourages changes in the .. Foot plate height 6"The smooth pivoting action of the Foot Flexor encourages changes in the po.. Larger version of the ergoCentric industrial footrest provides a heavy duty, all steel frame with a .. 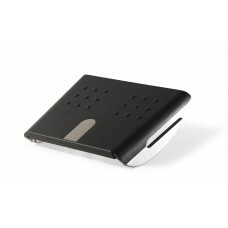 Smaller version of the ergoCentric industrial footrest provides a heavy duty, all steel frame with a.. 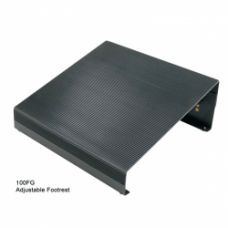 Product specs • Ideal for users who cannot rest their feet comfortably on the floor • Dimensions: 15..
Ergonomic footrests support your feet to help prevent back and leg discomfort! 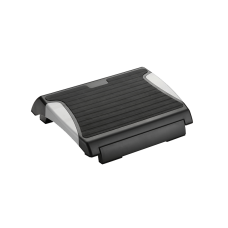 Customize your foot p..
Like all Humanscale Foot Rockers, the FR500K promotes health and comfort by getting the user’s feet ..
Like all Humanscale Foot Rockers, the FR500C promotes health and comfort by getting the user’s feet .. Helps keep strain off lower backNonskid surfaceAdjustable from 4-1/2” to 6-1/2” H14” D x 13” W.. 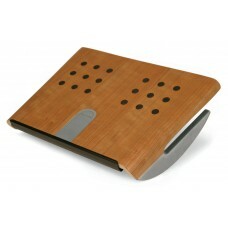 The TriRite footrest from Posturite is simplicity itself. With 3 angle adjustments of 10°, 2..